Hundreds of millions of Indians crave a roof over their head. But they need a secure job first. 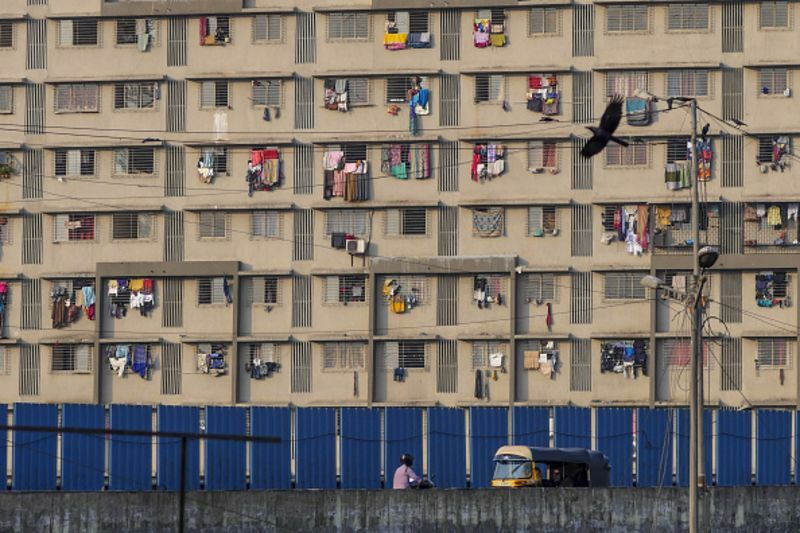 Affordable housing in India is a corner of finance that’s expanding almost 40 percent a year, and even more for some hyperactive lenders. The borrowers are subprime, their collateral is of dubious value, financiers’ cost of capital is rising, and yet the government is whipping up a home-buying frenzy. Investors beware. You’ve seen similar stories play out before; this one, too, isn’t likely to end well. But what exactly is the situation? Suppose you’re a production supervisor in a footwear factory, earning the equivalent of $800 a month. You decide to buy your first apartment with a $13,000 loan. Normal mortgage rates are around 9 percent. You, however, effectively pay only 5 percent. The government tops up the remainder to your financier every month. You can buy a house that’s as expensive as you want. So long as it’s not bigger than 200 square meters, the first $13,000 loan is at 5 percent. You’re doing great, until your boss figures out there’s no way he can avoid paying the new Indian goods and services tax, or GST. Since his only source of competitiveness so far was tax avoidance, he closes the factory. You’re fired, but you still have the house. And suddenly it’s a problem for the finance company, its investors and the taxpayers who bore the subsidy. The caricature I presented above is just that. But the lure of a highly subsidized route to home ownership for everyone from the very poor to the middle class (subsidies range from 3 percent to 6.5 percent), along with the danger to lenders, are real. 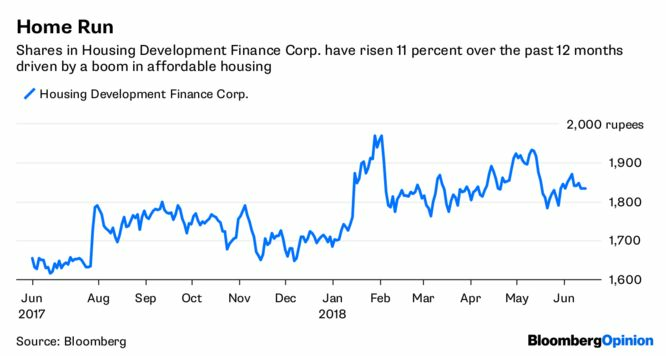 Nonperforming advances in housing-finance firms’ affordable loan portfolios have shot up to 4.1 percent from 3.3 percent a year ago, according to Moody’s Investors Service affiliateICRA Ltd. The souring of loans isn’t a surprise. Medium, small and micro enterprises – whose employees are the target segment for these loans – are having a hard time trying to survive the botched-up implementation of a good innovation: the GST. Working capital has always been a bane because big Indian companies pay late to small suppliers. But now the government also refunds GST input credits after six months. What are small firms to do except scale back? A 19 percent drop in just one year in the number of registered medium, small and micro enterprises in industrialized Tamil Nadu is a warning sign. All this puts lenders at risk. Repossessing homes of working-class people in small cities will be near impossible. And even if financiers manage to get some front-door keys, they won’t find buyers. The only “investor” for such properties is somebody trying to deploy his unaccounted-for cash. Unlike individuals, banks can’t sell homes for 60 percent payment by check and 40 percent in cash. Housing Development Finance Corp., the country’s largest mortgage provider, says one in five of its customers is eligible as an affordable-housing borrower. HDFC’s underwriting standards are time-tested, so you can probably expect it to manage scorching growth without losing its head. Banks in India are required to meet priority-sector quotas. Almost three quarters of the 363 billion rupees ($5.3 billion) in so-called pass-through certificates that have transferred risk from lenders to investors since 2015 has been structured as AAA-rated paper. For now, 10 out of 11 such issuers of fortified securities have auto loans as their mainstay. Only Dewan Housing Finance Corp. counts affordable home finance as a key business. However, while Dewan itself is rated highly locally, some of the newer players are not. Also, the preferred risk-sharing mode for affordable mortgage loans is not pass-through certificates but bilateral deals, for which data is also not publicly available. What we have instead is recent evidence of trouble. Janalakshmi Financial Services, 1 a top microfinance lender, was securitizing its portfolio aggressively before Prime Minister Narendra Modi’s bizarre November 2016 ban on most of the cash circulating in the economy. Its 90-day overdue claims surged to 26 percent by May 2017, from 1 percent in January of that year. ICRA puts housing-loan companies’ external-financing requirements at between 77 to 120 billion rupees over the next three years. Some of the bigger players may even hawk retail bonds. Investors will soon have many hands tugging at their sleeves. But they have to be careful here. If the U.S. subprime mortgage meltdown is any guide, plenty can go wrong. Hundreds of millions of Indians crave a roof over their head they can call their own, but what they need first is a job that’s available today and has some assurance of being there tomorrow. Until that problem is fixed, the interest-rate subsidies are an act of untimely kindness.